ALS – or amyotrophic lateral sclerosis – is a progressive, fatal, neurodegenerative disease. Only five to 10 percent of ALS cases, called familial ALS, are believed to be inherited; the great majority of ALS is known as ‘sporadic’ with no known genetically inherited component. But the key features of familial and sporadic ALS are the same: gradual loss of muscle control, leading to eventual paralysis and severe breathing problems, brought on by the death of the nerve cells that control the muscles. The levels of suffering and despair caused by ALS are heartbreaking and the search for causes, preventative measures, treatments and ultimately, the cure, is a desperate one. Although millions of dollars are devoted to this quest every year, studies focusing on unreliable and inhumane animal models divert precious funds and valuable time away from more promising human-relevant methods to unravel the puzzle of ALS. In 1993, mutations in the gene that encodes a protein called SOD1 were found to associate with 20 percent of familial ALS (this is about one to two percent of all ALS cases). SOD1 is normally protective; however, in these people with ALS, mutated SOD1 is overactive and becomes toxic, damaging the cells that it is designed to protect. Since the early 1990s, more than 50 potential genes have been linked with ALS and over 150 different mutations have been discovered in the SOD1 gene alone. A ‘transgenic’ animal has a gene from a different organism artificially inserted into its genetic code. Transgenic animals are often mice, and the genes inserted are often associated with a human disease. Producing transgenic mice to model aspects of human disease requires great skill and many animals (sometimes a thousand or more for each successfully inserted gene). The first step requires mouse eggs (taken from females who are killed in the process). The human gene of interest is then injected into these (not an easy process) and the (now transgenic) eggs are implanted into new female mice. Only a small number of the mice born from this process will carry the injected human genes and those are the unlucky ones (the remainder are killed) because they are destined to develop some form of the human disease (see photo below). The process of making transgenic mice is notoriously inefficient and results in distress, suffering and early death of many animals. To date at least 34 transgenic animal ‘models’ of ALS have been developed, of which the SOD1 mutation (pictured below) is the most severe. This is an image of a transgenic mouse with human mutant SOD1. Mutations in the SOD1 gene are linked to 20 percent of the inherited form of ALS in people. The mouse is underweight, can no longer move his hind limbs and shows evidence that he can no longer groom himself – he would probably die before he was six months old. Image reproduced from Deng and colleagues, under Creative Commons 2.0 licence. Just as it should be obvious that the insertion of a single human gene into a mouse will not make the mouse into a human, the insertion of a single mutated human gene into a mouse will not produce the human disease. As we learn more about complicated conditions such as ALS, using human-relevant studies such as the genetic analysis of human patients, scientists are identifying novel mutations, discovering links between different types of ALS, and finding out that the complex interactions between genes mean that the actual disease cannot be replicated with one mutation in one gene. This surely indicates that experiments developing these transgenic animals with a single, mutated, human gene inserted is not, and never will be, the way to a cure. Indeed, the transgenic animal models are failing to deliver any new treatments for ALS. Despite more than $700 million dedicated to ALS research since 2006, treatment options for people with ALS remain limited. Around three quarters of people diagnosed with ALS take riluzole, a drug approved in 1995, before the development of any of the ALS transgenic mouse models, but riluzole is not specifically designed to treat ALS, and can only provide a small improvement; it is not a cure. In May 2017, the FDA approved edaravone, a drug that improves symptoms in the early stages of disease but is unlikely to work for everyone with ALS. Neither of these drugs arose from research using transgenic animal models of ALS. Research is ongoing and there are many active clinical trials for ALS. It is exciting to note that many of these are looking beyond transgenic animals – at human cell-based therapies. Stem cells have the capacity to turn into any cell in the human body, but more importantly, stem cells taken from people with a disease retain the features of that disease. There are many different sources of stem cells and recently, scientists have discovered a way to first turn skin cells into stem cells and then to any other cell type. This means that skin cells from people with ALS can be turned into neurons in the lab to let us look closely at what is happening in ALS. Recently, the potential of stem cells in ALS research has been revealed in the laboratory and in the clinic. Induced pluripotent stem cells (iPSC) are stem cells, often derived from adult human skin cells, that can be turned into other types of cell – including nerve cells (see picture). In a ground-breaking laboratory study in 2014, iPSC-derived motor neurons from people with an aggressive form of SOD1-related ALS were shown to have increased electrical activity compared to motor neurons made from iPSC from people who did not have ALS. The ‘ALS neurons’ did not live very long in the lab, but correcting the SOD1 mutation reduced neuron hyperactivity and increased their lifespan. Transcranial magnetic stimulation uses a brief pulse of high intensity magnetic field to stimulate the brain and can be used to measure the neuronal activity. This is a painless and non-invasive method that is used in conscious human subjects. Image by Eric Wassermann, M.D. [Public domain], via Wikimedia Commons. This has immediate impact for the tiny fraction of people with SOD-related ALS, but actually, the use of patient stem cells can help more than SOD-related ALS – in a way that is simply impossible using the animal model approach. Retigabine is an approved anticonvulsant that reduces ALS-neuron cell death in the lab. The beneficial effects of retigabine have been demonstrated for motor neurons derived from iPSC from patients with different types of ALS. This shows us that this drug may have a broader application and is not limited to SOD1-related ALS. Had scientists not shifted the focus from transgenic mice to humans, reaching these results would have taken more time, money and effort, not to mention the many animal lives. Clinical trials with retigabine are ongoing now – examining whether treatment can reduce the overactivity of the nerves, or neuronal hyperexcitablity, in people. 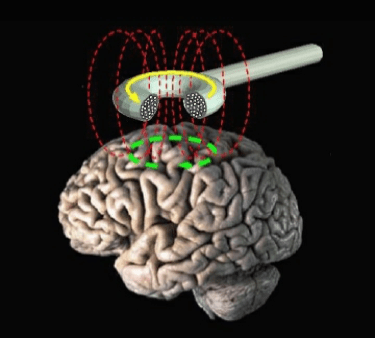 Amazingly, the activity of the nerve cells can be measured directly in those people on the clinical trial using transcranial magnetic stimulation, a non-invasive method used to measure the brain’s activity (see image). In a truly modern advance, people on the retigabine clinical trial will provide blood samples that will be used to generate their own iPSC. These iPSC will be turned into neurons and tested in the lab to find out exactly how well each patient’s cells respond to retigabine treatment. This opens a new era of personalised medicine – adjusting the amount of drug needed for an individual’s specific needs is safer, more cost-effective, and reduces the risks of adverse side-effects. This approach does not require any prior knowledge of the patient’s genetic status and so is not limited by a lack of transgenic mouse data. We do not need to engineer more damaged mice to move ALS research forward. Human-relevant iPSC research is gaining momentum, beyond ALS and towards a more complete database for human disease research. Stem cell ‘banks’ such as HiPSCI are vitally important in providing human stem cells for other researchers to use, making standardised cultures that behave the same in every laboratory. The advantages of this 21st Century approach to finding cures are numerous; by taking cells from as many patients as we can, we can examine the range of disease and start to see the subtle differences in the disease. We can look for indicators of disease (biomarkers) that could tell us how the disease is progressing, or how the drugs are working. We can look for new treatments and screen approved drugs to see if any of those have the desired effects; and we can do all of this in a relevant, appropriate human system without painful, distressing transgenic animal experiments and the associated waste of animal lives. It was three years ago that the Ice Bucket Challenge raised awareness and funds for ALS research. 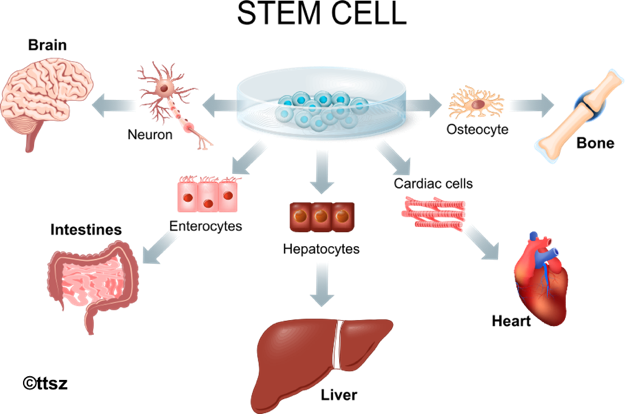 The advent of human-relevant iPSCS should be encouraging to everyone who participated in the Ice Bucket Challenge, and it’s certainly the sort of medical research I’d happily drench myself with a bucket of icy water to support! Animals are NOT test subjects! Please continue ALS research without using animals.